A bee here or a hive there may be chalked up to chance of a landscaping company with heavy-handed pesticide applications, like the case where an estimated 25,000 bees were killed in a small Oregon town. But when millions of bees are dying at once, in locales across Canada, there may be something more serious afoot. One thing these casualties have in common—recent corn plantings and the related insecticides. According to The Ontario Post, one local Elmwood beekeeper lost 600 hives, a total of 37 million bees following nearby corn planting. He and others believe the culprit may be a class of insecticides, neonicotinoids, made by Bayer CropScience Inc. A smaller operation in nearby Hanover was similarly wiped out this spring when neighboring farmers began planting corn. Neonicotinoids were recently banned by the European Union for two years (a period starting Dec. 1, 2013) so that they can study how they are related to the dying bees in Europe. They are completely legal in both the U.S. and Canada, however. The pesticides coat the corn seed. New air-seeders launch the seeds for planting while the pesticide dust is blown into the air. 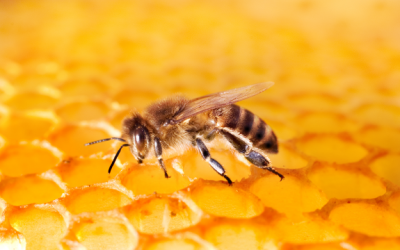 These tiny particles make their way to nearby honey operations and the bee population at large. Sort of like injecting beef cattle with antibiotics “just in case”, farmers are using seeds covered with insecticides. This so-called preventative use does more harm than good in both cases. “Large scale prophylaxic use in agriculture, their high persistence in soil and water, and their uptake by plants and translocation to flowers, neonicotinoids put pollinator services at risk,” said an investigative team of international scientists in the research that spurred the EU ban. While beekeepers used to replace their queens every few years, they are doing it every few months in an effort to keep up with the decimated population. Meanwhile, officials in the U.S. and Canada alike seem content to watch these all-important pollinators die. I don't think most people realize how important bee's are to life as we know it. They do a lot more than produce honey. They are the mechanism by which so many plant species are pollinated. If the bees are wiped out world food supplies would be endangered to the degree that it could cause wide-spread extinction of other animals, humans included.